1.กุหลาบ /gù-làap / Rose Roses like in the West are often used as romantic gifts. 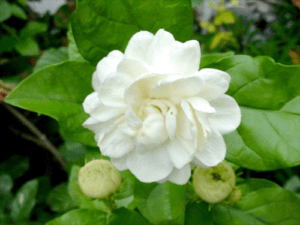 2.มะลิ / má-lí / Jasmine Jasmine is often used for religious ceremonies being incorporated into complected designs necklaces, wrist bands and formal beautiful shapes and forms. In addition this is the national Thai flower. 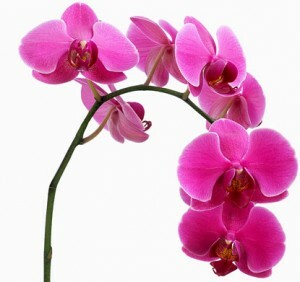 3.กล้วยไม้ / glûai-máai / Orchid The orchid is widely associated with Thailand. It is used as the flower of Thai Airways. 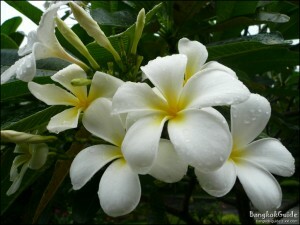 4.ลีลาวดี / lii-laa-wá-dii / Plumeria / Frangipani Frangipani can be seen across Thailand. There are two varieties, white and purple/pink. Both varieties have a wonderful sweet nectar smell which you either love or hate. 5.ทานตะวัน / taan-dtà-wan / Sunflower Sunflowers can be seen in the middle and northern Thailand. The fields of sunflowers look very beautiful in the rolling hills of the north. Hope this blog about a few of the flowers in Thailand is of interest. If you want to learn Thai or learn more about Thai Culture you are very welcome to have a look at our blog, YouTube site or follow us in Twitter, Facebook, Linkedin or Google+. If you would like to learn some more Thai language then please have a look at our other blog lessons, Youtube lessons (we have over 250) or follow us in Twitter, Facebook, Google+ or Linkedin. Should you like to teach us privately please contact us for a free trial online or at our school.